The following is a History of the APAA Hong Kong group by C. K. Kwong. The Hong Kong Group of APAA has witnessed the ups and downs of Hong Kong in the last quarter of a century. At the Hong Kong Council Meeting in Mandarin Hotel on the 8th April 1973, the Council of APAA was informed that a National Group for Hong Kong was intended to be formed in the following year. The establishment of the Hong Kong Group was approved by way of circulating a written resolution among the Council Members in February 1974. On the 22nd day of April 1974, at the 3rd General Assembly held in Seoul, establishment of the Hong Kong Group as the 4th National Group (now Recognised Group) within APAA was reported to the Association. At its inception, the Group had 7 members consisting of 4 individual and 3 organisation members. Ms. Ella Cheong was the founder of the Hong Kong Group and became its first Councillor, Group President and International Vice-President. From its humble beginning with 7 members, membership of the Group has now grown to 106 consisting of 85 individual and 21 organisation members. Hong Kong has experienced explosive growth in the last 25 years with its products being evolved from the stage of “made in Hong Kong” to “made by Hong Kong” and industries developing from low-tech to high-tech. Being one of the world’s most dynamic cities enjoying the status of a leading international financial and business centre, Hong Kong cannot afford to ignore the impact brought by the revolutionary development of digital technology and the cyber world. It is now actively preparing itself to meet the challenges of the information world of tomorrow and fast developing into a knowledge-based economy. We saw the change of Sovereignty in 1997 which has an all embracing impact on our intellectual property law and system. The members of the Hong Kong Group have made and will continue to make their due contributions in protecting the intellectual properties developed by our local industry talents as well as foreign intellectual property owners who commit their money and expertise to Hong Kong throughout these important times. 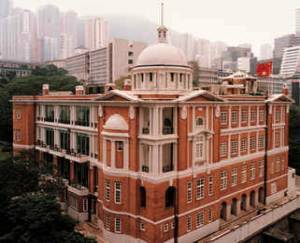 While in its early days the Group was more in the nature of a social club, it has now become a serious professional organisation playing an important role in the modern history of Hong Kong’s industry. An account of the Group’s history can be conveniently provided by reference to 5-year intervals and important milestones in Hong Kong’s history. In 1979 during its 5th Anniversary, the Hong Kong Group hosted the 5th General Assembly of the APAA. It was at this meeting that the logo of APAA was approved by the General Assembly and formally adopted by APAA. 193 participants took part in this meeting at the Plaza Hotel during the period from the 29th to 31st October 1979. Government officials including Sir Denys Roberts, then the Chief Justice of Hong Kong, Mr. Piers Jacobs, the Registrar General and Mr. E. R. Macock, the Registrar in charge of patents and trade marks were invited to join the Banquet at the Excelsior Hotel. The importance of proper handling and control of imported technology to ensure their intelligent use to benefit the recipients which helped to move developing countries into highly industrialised countries as well as the contributions which members of our association can make to the growth of the Asian economy were emphasised at the meeting. The Year 1984 marked the 10th Anniversary of the Hong Kong Group and was an important year in our history. The Sino-British Joint Declaration was signed between Britain and China on the 19th December 1984. It provides that Hong Kong’s life style will remain unchanged for 50 years after its restoration to China on 1st July 1997 and that Hong Kong will enjoy a high degree of autonomy. The Joint Declaration sets out China’s policy that laws previously in force in Hong Kong will remain basically unchanged in the Hong Kong Special Administrative Region (“HKSAR”) of the People’s Republic of China. Rights concerning ownership of property (including intellectual property) shall continue to be protected by law. The Hong Kong Government shall on its own decide policies among others, in the field of science and technology. It was recognised at that time that the historical link with UK on intellectual property matters such as the re-registration of only UK national patents in Hong Kong, automatic extension of UK registered designs to Hong Kong and extension of the UK copyright law to Hong Kong would be a political impossibility after 1st July 1997. Major changes in these areas were then contemplated by our members. Senior members of our Group were recruited to serve on the Patent Steering Committee in 1986 to consider what patent system should be adopted in Hong Kong and, to draw up detailed proposals for the implementation of the system. Our senior members were also invited to serve on the Copyright Subcommittee of the Government’s Law Reform Commission in 1987 to review the law relating to copyright and registered design and to make comprehensive recommendations. Submissions on copyright law reforms were made by the Hong Kong Group to the Law Reform Commission in 1988 and 1989. In the meantime, the Hong Kong Group adopted a detailed set of rules in 1985 which were subsequently registered with the Societies Registry in 1986. The Year 1989 which marked our 15th Anniversary was another important year in Hong Kong’s history. Long term plans for the future of Hong Kong were announced which included the US$16 billion new airport project at Chek Lap Kok. The new airport has been named this year as one of the “Top 10 Construction Achievements of the 20th Century”. The Prince and Princess of Wales came to lay the foundation stone for the new University of Science and Technology and officiate at the opening of the new Cultural Centre and Exhibition & Convention Centre. These boosted public confidence at a time when events which took place in China created concern about the arrangement for Hong Kong’s future. Intensified discussions on the drafting of the Basic Law (which largely re-enacts the policies set out in the Joint Declaration) took place and it was promulgated in April 1990 by the National People’s Congress. The Intellectual Property Department was established on 2nd July 1990 incorporating under it the Trade Marks, Patents and Registered Designs Registries. The 6th Meeting of the Committee for the Study of Harmonisation of Patent Laws was held here on 21st May 1990. The Hong Kong Group hosted 2 study groups, namely the Asian Design Protections Study Team of the Japan Patent Association and the Asian Intellectual Property System Research Committee of the APAA Japanese Group in 1992. The Hong Kong Group celebrated its 20th Anniversary in 1994. 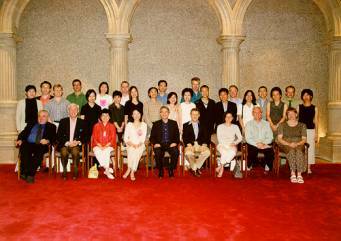 The Hong Kong Group hosted the 38th Council Meeting in 1995 with 888 participants from 43 countries. The cosmopolitan character of Hong Kong, the theme of east meets west, and the imminent arrival of a new epoch were amply reflected in that meeting. The opening started with the entrance of the auspicious lions of fortune and dotting of their eyes with red ink to bring them life and spirit exactly according to Chinese tradition. Guests were treated with the famous Chinese delicacy of braised superior shark fins in brown sauce while champagne, red and white wine were freely served at the farewell banquet. The grand finale was graced by the impressive 50 piece Silver and Bagpipe band of the Royal Hong Kong Police Force. Entertainment included no less than an English version of “Bao Ching Tien”, a Cantonese Opera concerning Judge Bao’s exploits and music performances by the three gorgeous western girl singers “Funky Divas”. 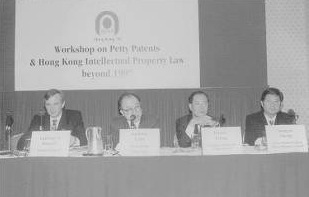 The timely workshop on “Petty Patents and Hong Kong Intellectual Property Law Beyond 1997” provided a forum for experts from Australia, Europe, Hong Kong and China to address the 400 earnest participants at the fully seated JW Marriott Ballroom. A formal resolution was passed at the Council Meeting on the 14th November 1995 inviting patent attorneys from China to join as members of APAA with the objective of forming a Recognised Group. The enactment of the Layout-Design (Topography) of Integrated Circuits Ordinance on the 31st March 1994. Hong Kong’s becoming a founding member of the World Trade Organisation on 1st January 1995. 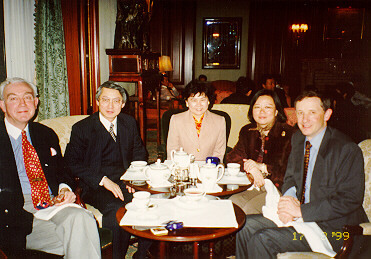 Agreement by the Sino-British Joint Liaison Group (“JLG”) consisting of representatives from the Chinese and UK governments in June 1999 to establish the Court of Final Appeal to replace the Judicial Committee of the Privy Council of the United Kingdom and localise the patent system, protection of industrial designs and copyright. Enactment of the Intellectual Property (World Trade Organisation Amendments) Ordinance 1996 on the 3rd May 1996. Enactment of the Plant Varieties Protection Ordinance in January 1997. Confirmation by the PRC and UK Governments to the UN, that specified treaties to which the PRC was a party would be applied to Hong Kong with effect from 1st July 1997 subject to Hong Kong’s decision to adopt the same and specified treaties which applied to Hong Kong before the Handover would continue to apply. These include the Paris Convention, Berne Convention, Universal Copyright Convention, Convention for the Protection of Phonograms against unauthorised duplication of their phonograms, Patent Co-operation Treaty, Convention on the Recognition and Enforcement of Foreign Arbitural Award, International Conventions relating to International Exhibitions, General Agreement on Tariffs and Trade (GATT), Agreement Establishing the World Trade Organisation (WTO) and Convention Establishing the World Intellectual Property Organisation (WIPO). Finally, on the 27th June 1997, Hong Kong’s patent, registered design and copyright laws which were previously dependent on the extension of the relevant UK legislation to Hong Kong became localised with the passing of the new (a) Patents Ordinance (Ord. No. 52 of 1997) together with Transitional Arrangement Rules and General Rules consisting of 438 pages providing a system of re-registering UK, European (UK) and PRC patents as standard patents and the filing of local “short term” patents; (b) Copyright Ordinance (Ord. No. 92 of 1997) consisting of 390 pages adopting an open qualification system and broadening the scope of protection; and (c) Registered Designs Ordinance (Ord No. 64 of 1997) together with its Design Rules consisting of 180 pages providing for Hong Kong’s own Designs Registry accepting direct applications and granting 25 year’s protection. With such a set of localised self-contained intellectual property laws, Hong Kong has maintained the continuity of its Common Law Jurisdiction with the previous British style legal system and a different independent jurisdiction from that in China when Hong Kong was restored to China on 1st July 1997. As can be imagined, in a period of hectic and prolific legislative activity such as that outlined above, members of the Hong Kong Group have had a most challenging time to monitor these developments, consider the draft provisions, make submissions to relevant government bodies where appropriate, catch up with the laws when they were enacted, adapt their practice and office routine in order to function as a part of the new system and disseminate their knowledge to professional associates worldwide. The Group also arranged for a preliminary meeting of the then newly formed APAA Design Committee in August 1996. We also amended the rules of our Group at a members meeting held on 16th July 1997 to deal with issues in relation to membership and quorum for our meetings. Now in 1999, our 25th Anniversary, 2 years have passed since the establishment of the Hong Kong SAR. So far, the principle of “one country, two systems”, which necessarily implies one country–two legal systems, is functioning well. The Group has established regular bi-annual working sessions with the Government Intellectual Property Department to discuss and exchange views on issues relating to all areas of intellectual property law, practice, systems and matters which affect the IP profession generally. We have encouraged members to write articles in “Hong Kong Lawyer” Magazine, awarded a book prize to the student with best results in intellectual property in the University of Hong Kong, organised luncheon talks on topics of current interest, synchronized joint submissions with other professional bodies in Hong Kong to advance the Group’s view points on current and proposed legislation for possible changes, supported and participated in government organised activities, co-operated with other organisations having an interest in intellectual property whether local or abroad, fostered ties of mutual friendship and understanding and promoted knowledge of intellectual property. With a view to serving the public and the profession, the Group is looking into the viability of setting up an education and accreditation system for registering patent attorneys locally. In the coming years, the Hong Kong Group will continue to contribute to the protection and advancement of intellectual property in an increasingly knowledge-based environment. Past Presidents of the Group.